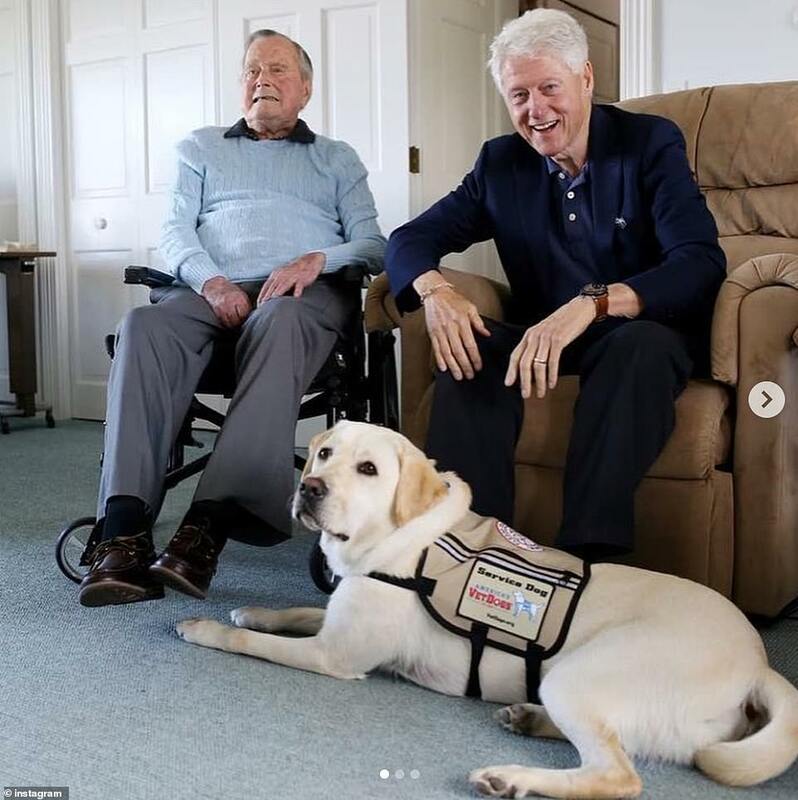 Sully was gifted to the elder Bush in June. 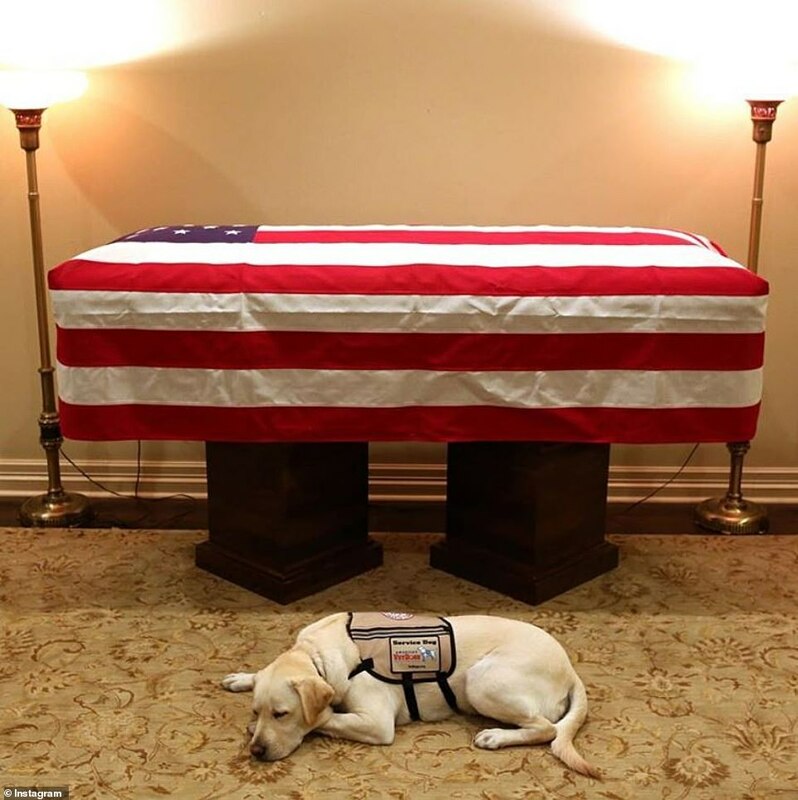 The tweet read: ‘A great joy to welcome home the newest member of our family, “Sully,” a beautiful – and beautifully trained – lab from America’s VetDogs. 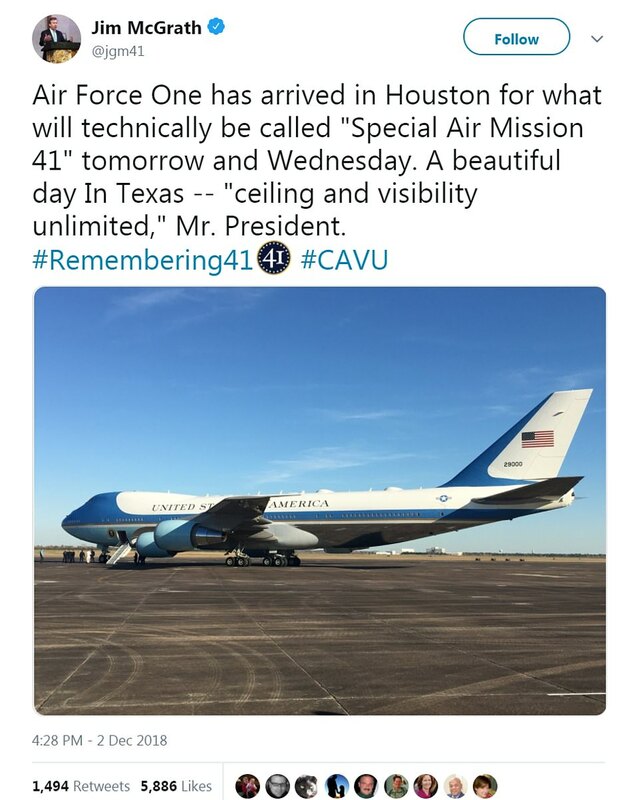 Meanwhile, Air Force One arrived in Texas on Sunday to transport Bush’s body to Washington for a state funeral. 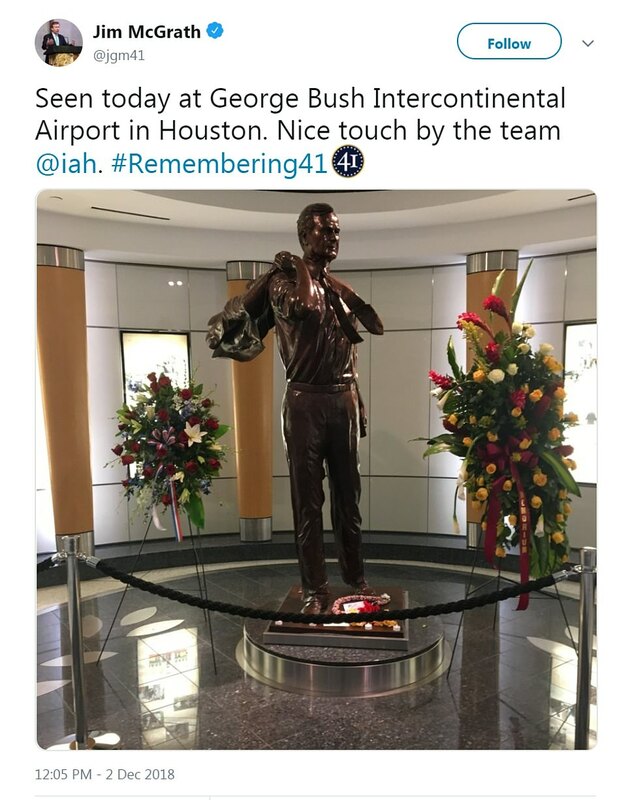 ‘Seen today at George Bush Intercontinental Airport in Houston,’ McGrath tweeted. 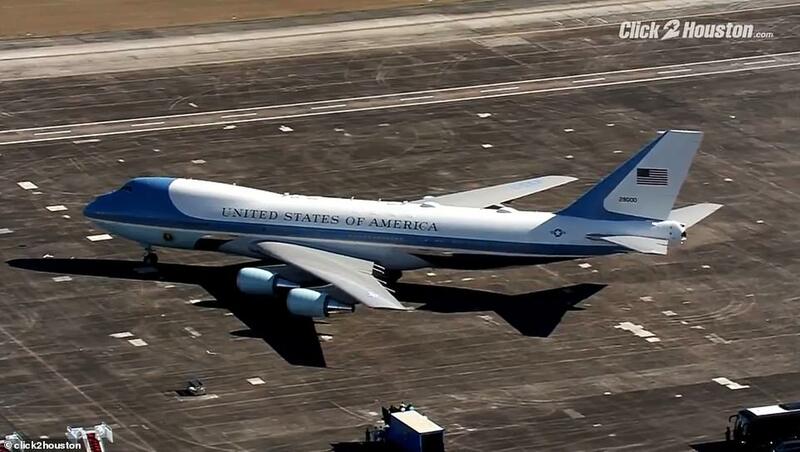 President Donald Trump dispatched Air Force One to Texas to transport Bush’s body – a magnanimous gesture from a man who has historically been at odds with the Bush family. 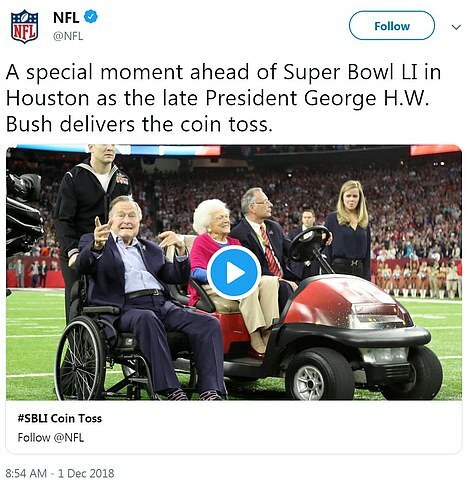 Trump tweeted on Saturday: ‘President George H.W. 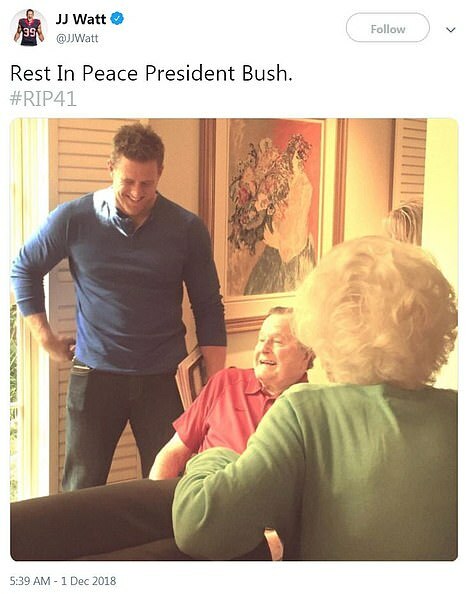 Bush led a long, successful and beautiful life. ‘Whenever I was with him I saw his absolute joy for life and true pride in his family. 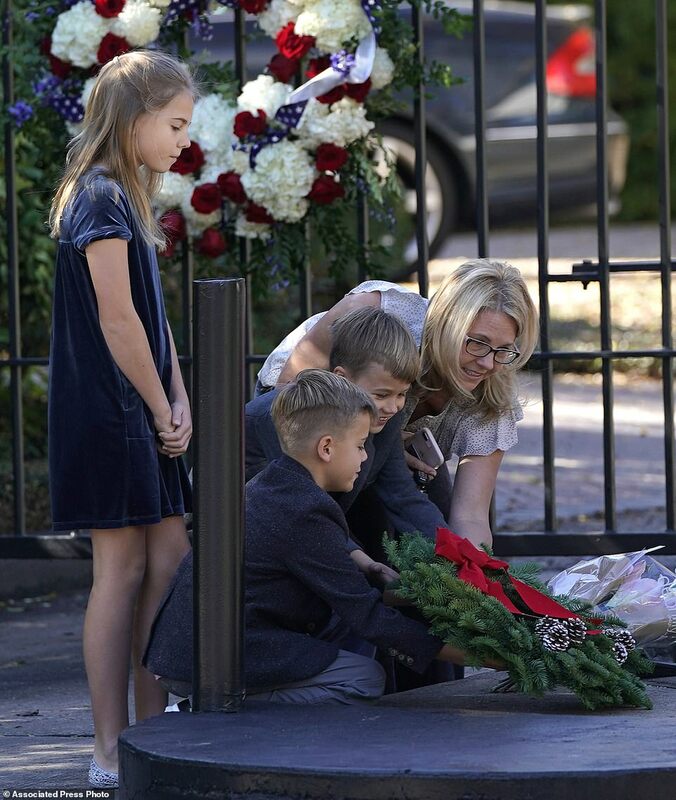 Americans will begin saying goodbye to Bush on Monday when his body arrives in Washington for public viewing in the Capitol Rotunda – a rare honor that will be bestowed on a man who earned the respect and admiration of many with his leadership, bravery and grace. 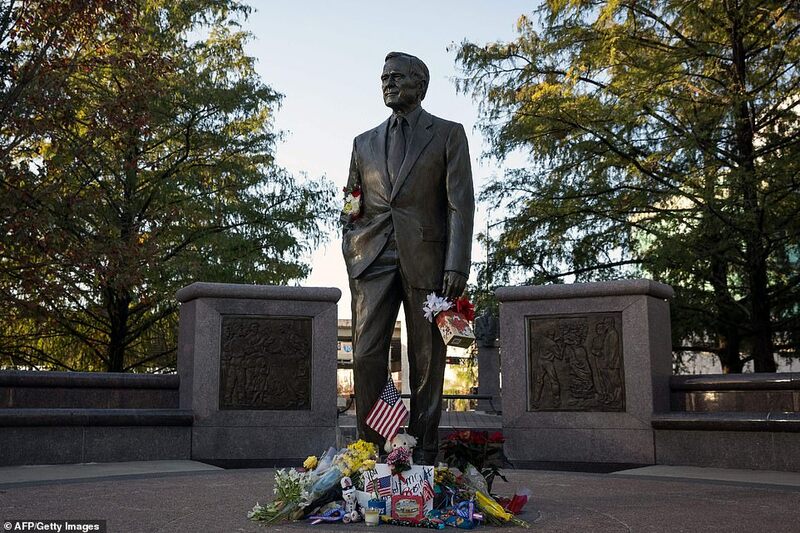 The public viewing will kick off four days of events that will include a state funeral at Washington’s National Cathedral on Wednesday and a private service at Bush’s longtime church in Houston on Thursday. 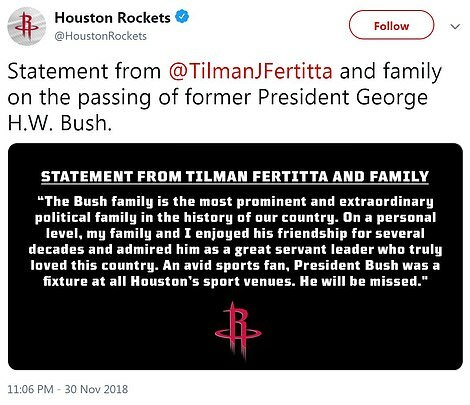 ‘Rest In Peace President Bush,’ tweeted Houston Texans star defensive end J.J. Watt. 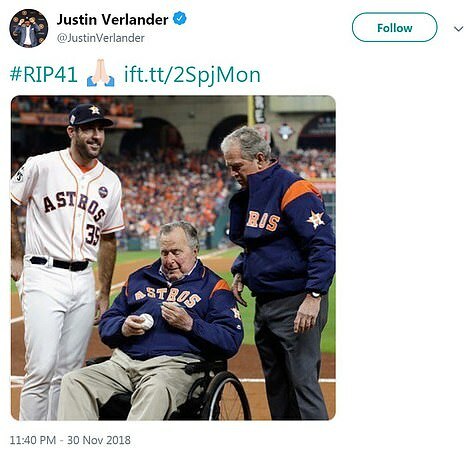 The tweet included an undated photo of Watt visiting Bush. 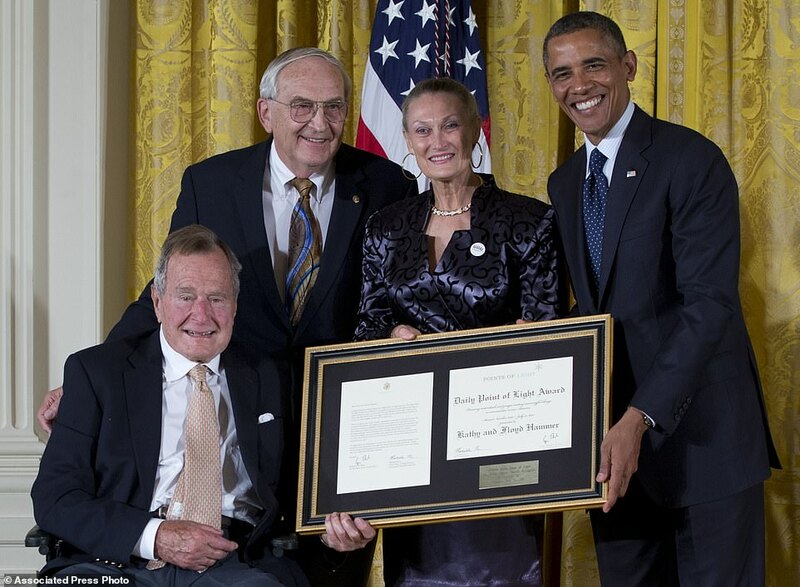 USA Water Polo, the sport’s national governing body, tweeted: ‘We are sorry to hear about the passing of President George H.W. Bush. 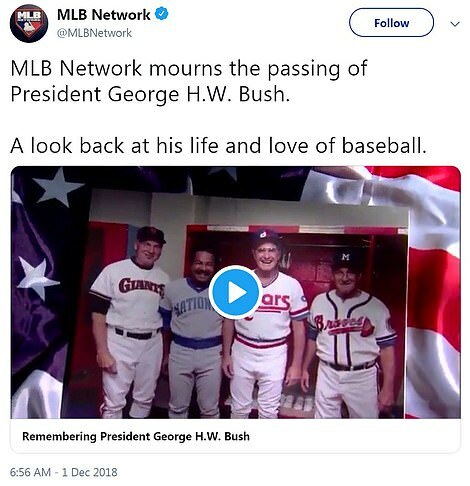 Major League Baseball’s television network aired a retrospective about Bush’s relationship with the National Pastime. 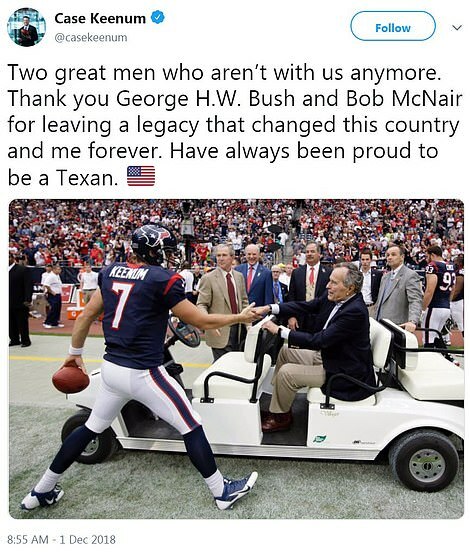 Case Keenum, the former quarterback for the Houston Texans, tweeted: ‘Two great men who aren’t with us anymore. 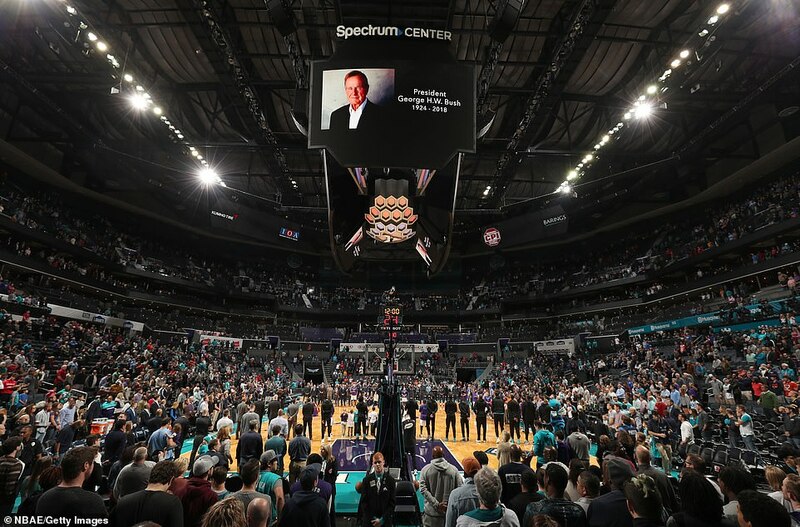 ‘Thank you George H.W. 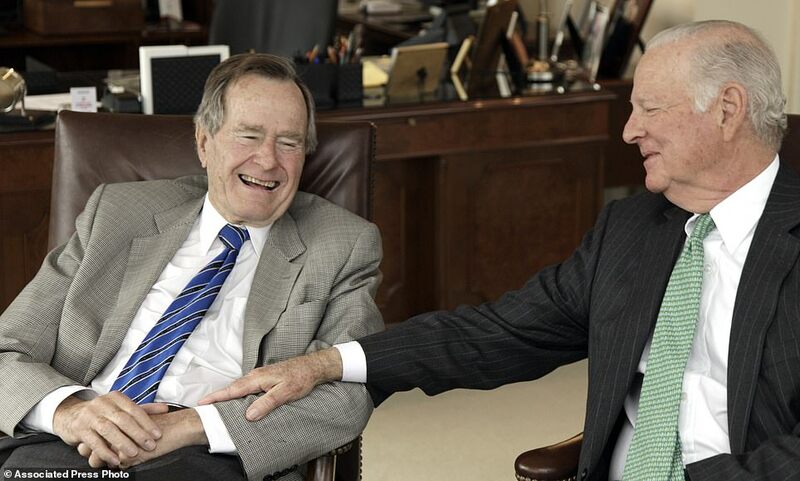 Bush and Bob McNair for leaving a legacy that changed this country and me forever. 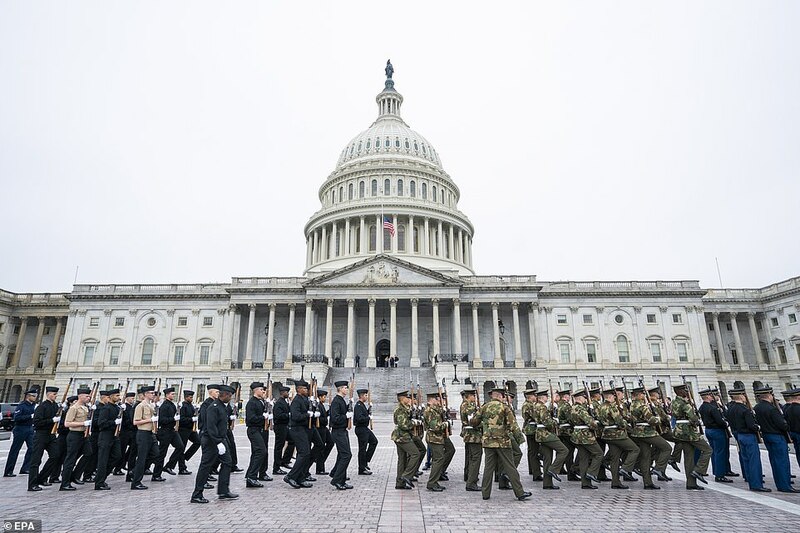 ‘He never forgot who he was,’ Powell, chairman of the Joint Chiefs of Staff during Bush’s presidency, told ABC’s This Week on Sunday. James Baker, Bush’s former chief of staff and secretary of state, called his boss’s tenure in office ‘a consequential presidency’ because of his foreign policy achievements. ‘Yes, he’s a one-term president … but he is going to be and was a very consequential one-term president. And I would argue far and away the best one-term president we’ve ever had,’ Baker told ABC’s This Week. 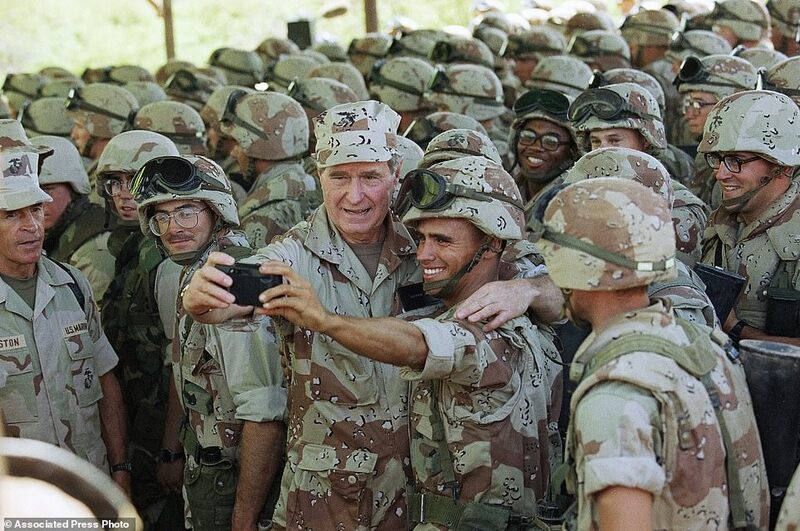 Bush’s crowning achievement as president was assembling the international military coalition that liberated the tiny, oil-rich nation of Kuwait from invading Iraq in 1991 in a war that lasted just 100 hours. 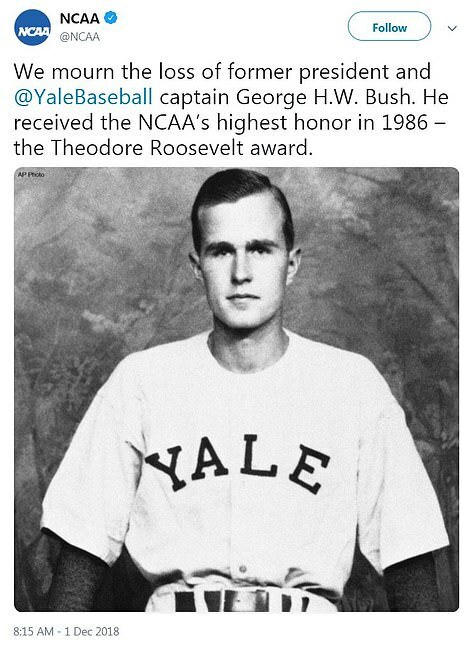 A humble hero of World War II, Bush was just 20 when he survived being shot down during a bombing run over Japan. He enlisted in the Navy on his 18th birthday. 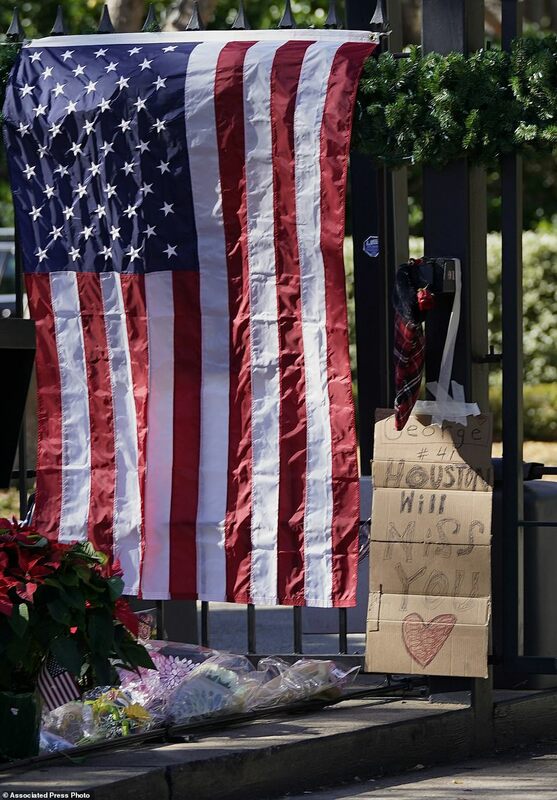 ‘He knew what combat was all about,’ Powell said on This Week. Bush turned his attention to politics in the 1960s, being elected to his first of two terms in Congress in 1967. 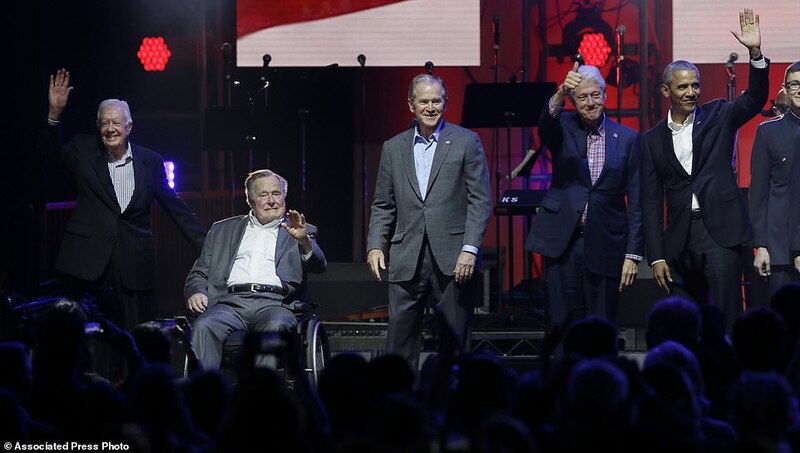 ‘No matter which party you’re affiliated with, everybody seemed to say the same things about President Bush,’ Molina said.